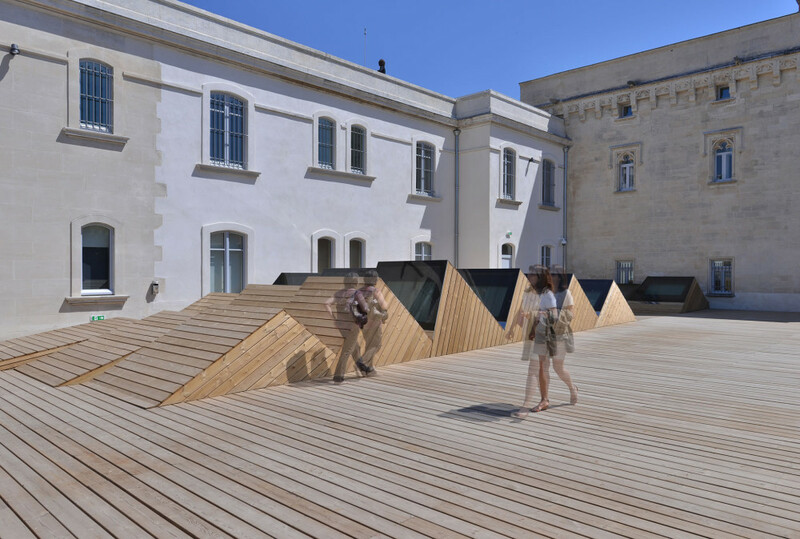 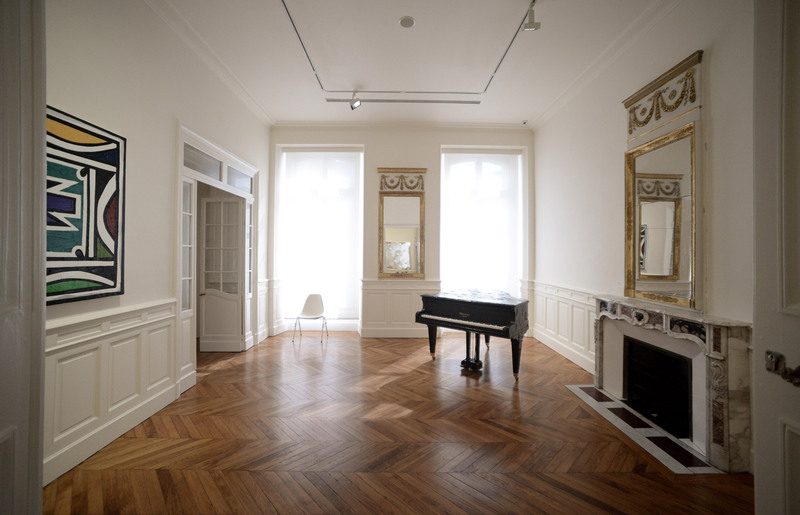 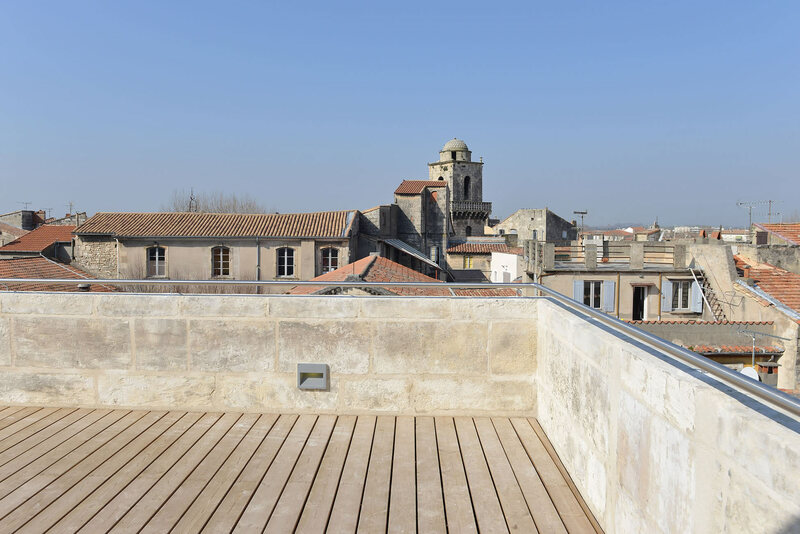 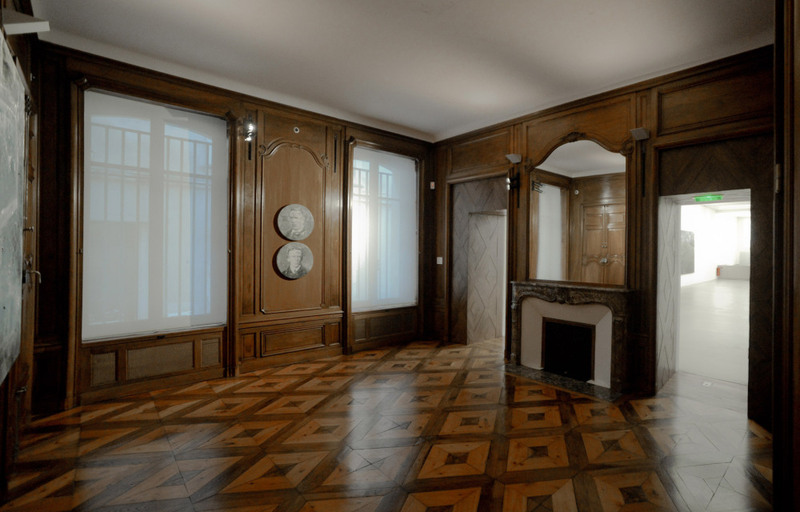 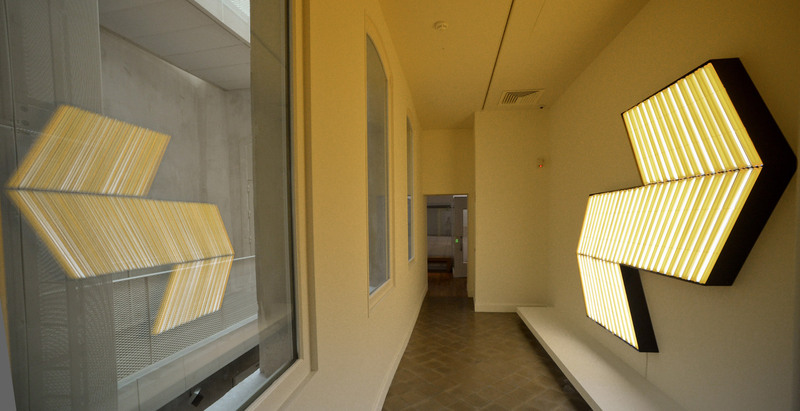 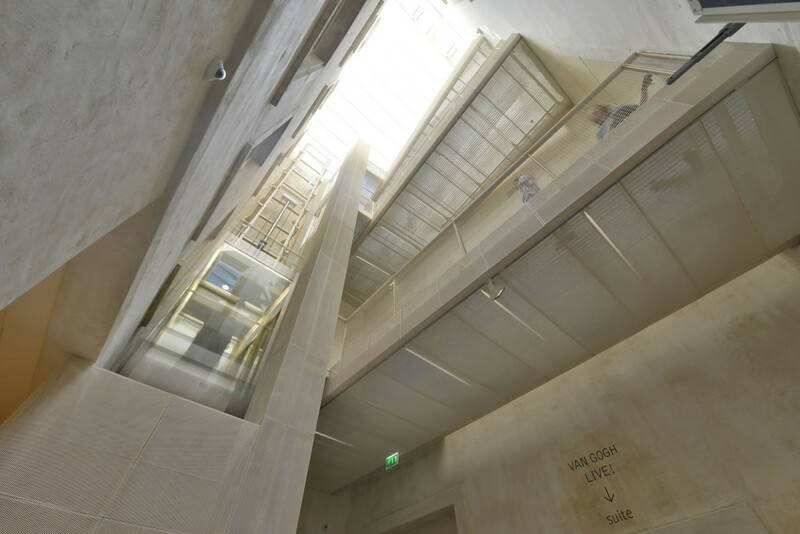 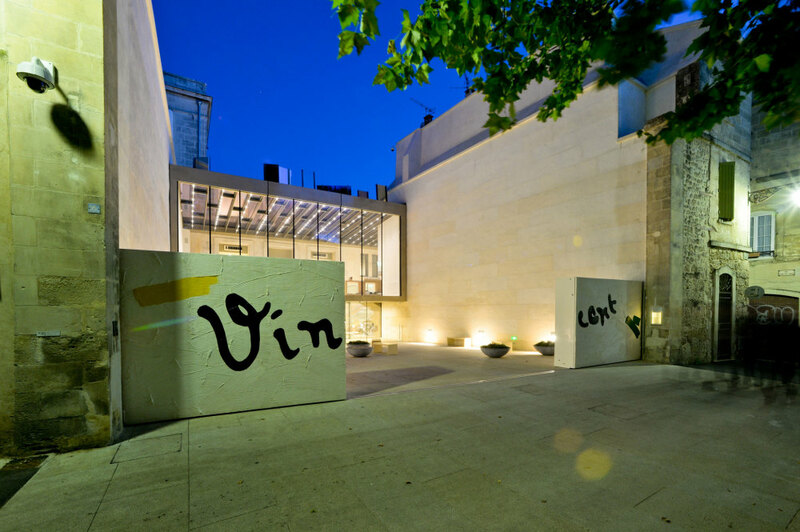 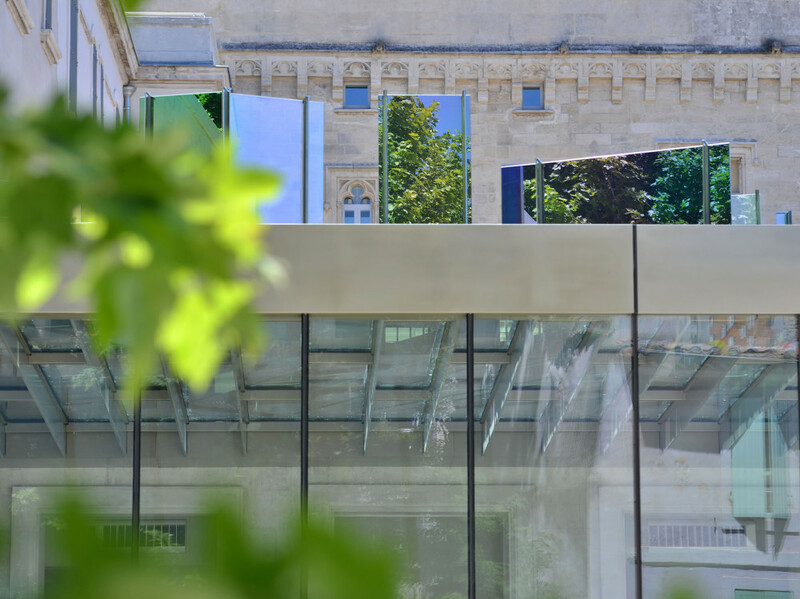 ARLES / The complete renovation of a former private mansion in Arles exactly responded to the Foundation’s desire to bring a contemporary perspective on the work of Vincent van Gogh to life. Topographies. 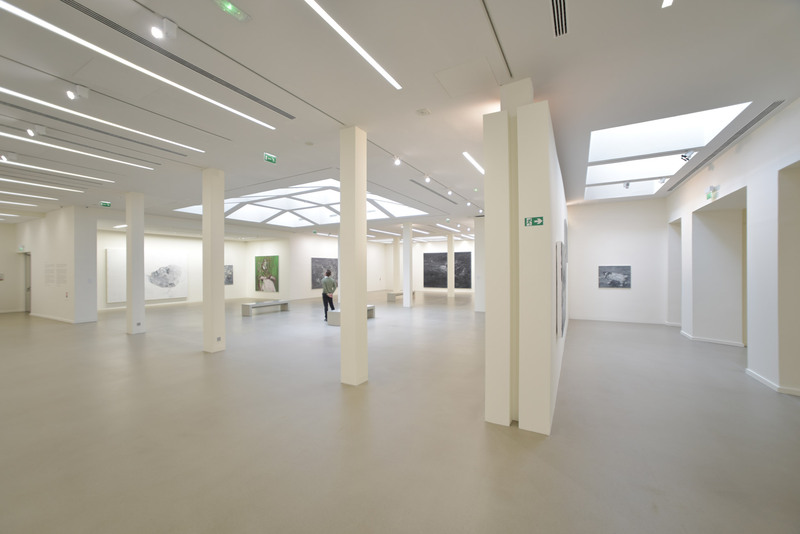 Natural daylight, the famous light of Arles, guides the reorganization of exhibition volumes and space (1000 m2), designed with exceptional modularity to best serve the works of art, and in rigorous relationship with conservation requirements. 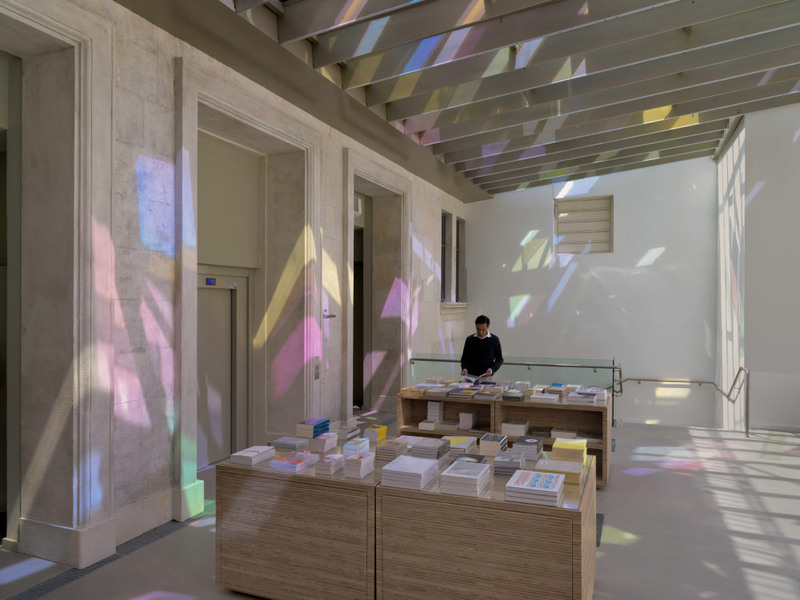 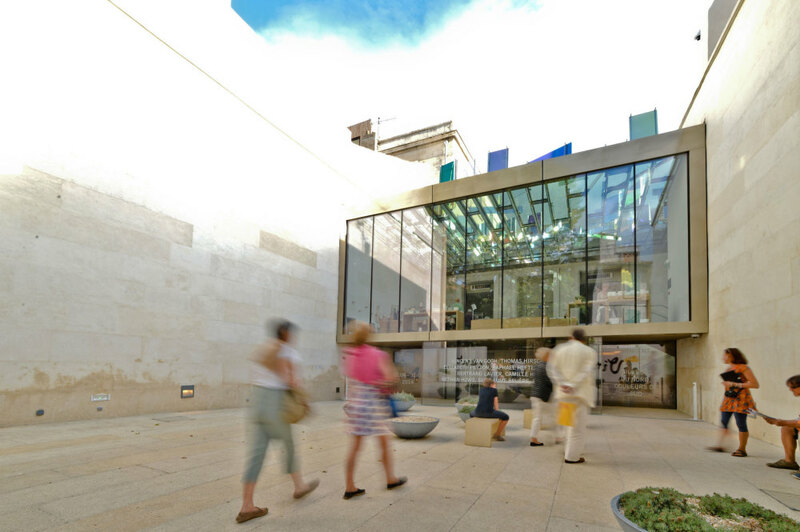 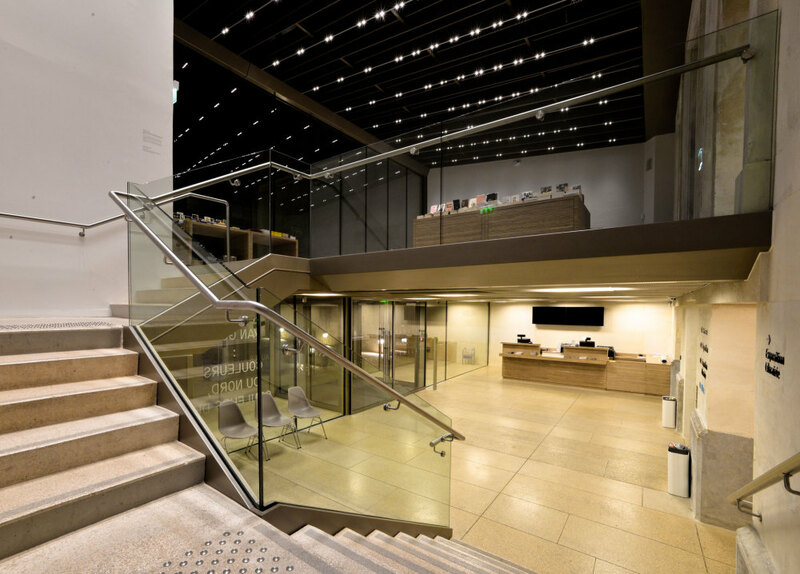 Throughout the visitor’s experience, there are colourful projections on the immaculate walls of the reception area and gift shop, an extension of the glass above the entrance in the courtyard.